Water; one of the most fascinating things in the world. 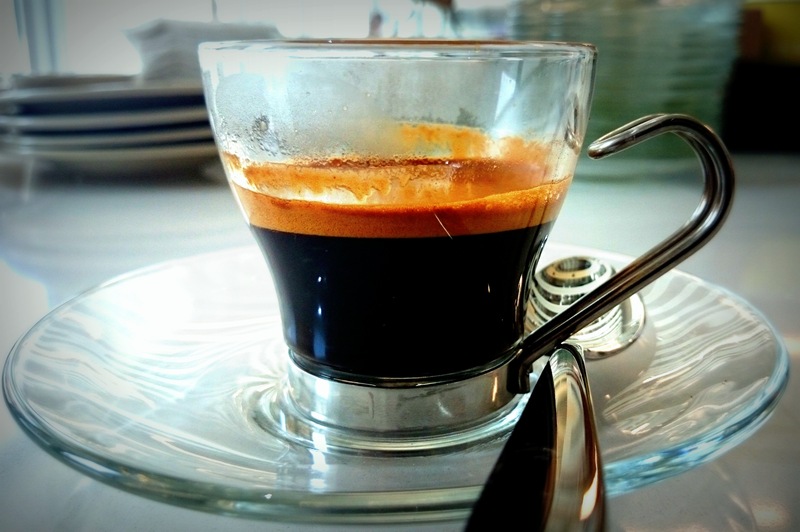 Before we get in to talk about the importance of water to coffee gastronomy, I believe it is arguably a need to get to of the chemical capabilities of water by studying its structural view and involvement possibilities towards chemical bonds. 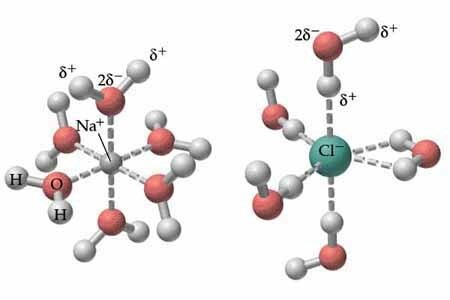 By structure water has two hydrogen atoms covalently bonded with an oxygen atom and that oxygen atom has two lone pairs of electrons around it. According to the valence shell electron pair repulsion theory (VSEPR), when we consider the repulsion energies between covalent bond against covalent bond, covalent bond against lone pair and lone pair against lone pair, lone pair against lone pair repulsion energy is larger than covalent bond against lone pair and covalent bond against covalent. Therefore, by nature in order to minimise those total resonance repulsion energies water molecule adapt to a bend angle (H-O-H = 104’ 45’) shape in space. Since H2O molecule has two lone electron pairs around oxygen atom, electron dipoles are created. Hence, oxygen atom stats to become slightly negatively charged and hydrogen atom stats to become slightly positive. This phenomenon leads whole atom to gain the ability to participate for the dipole-dipole attractions or otherwise known as hydrogen bonds which stronger than Van der Waals bonds. The structure of water and most importantly hydrogen bonds are together has become one of the major factors in coffee brewing. Because, solubility in water, boiling point of the water, surface tension of the water or even forming ice has happened due to direct involvement of hydrogen bonds. Therefore, water has better involvement possibilities towards chemical bonds by using intra, inter or even participating to the ionic bonds. Now let see how above structural and dipole behaviours are coming to play in water hardness and solvation of flavour molecules of coffee. These bicarbonate anions have the ability to create insoluble CaCO3 molecules once water is being heated up, and that the usual mechanism of lime scales. However when minerals are dissolved in the water, the number of water molecules that has the ability to create a salvation shells are being reduced. Therefore, the number of dissolved solids or TDS, directly affect to the solvating process of the water and also the vaporisation process of aromatic volatile particles from the water, as those dissolved solids start to disturb the aromatic vaporisation. If we imagine a constant temperature closed system, and use 0 TDS water to brew a coffee according to the SCAE golden ratio (extraction – 18%- 22%) by using chosen amount of coffee dose, that water has the ability to dissolve right amount of flavour particles and create a phase equilibrium between coffee and its vapours. let’s consider this vapour pressure as p0. Then in a same way if we brew a coffee using tap water, theoretically, the appropriate coffee dose that has to brew in order to bring the vapour pressure up to p0 by extracting same above percentage, should be relatively higher. Therefore choosing ideal water for coffee brewing (125ppm -175ppm) is much more important as the number of dissolved solids, directly affect to the solvating process of the water and also the vaporisation process of aromatic volatile particles from the water, as those dissolved solids start to disturb the aromatic vaporisation. Now let’s move on to solvation of the flavour molecules of coffee. Solvation is the process of surrounding the solute with solvent. When we extracting flavour compounds from the coffee they are transformed from solid state to liquid state. The possibility of this transformation to happen, within ideal parameters are consecutively proportional to the number of water molecules which are available for forming a solvation shell. When flavour compounds are extracting to the water enzymatic compounds (SCAA- Flavour wheel) are dissolving initially as they usually have lower molecular weight. Enzymatic category holds the floral, fruity and herby characteristic of coffee. Coffee bean contains some percentage of phenolic compounds. Then, Maillard or caramelized compounds (sugar browning category) starts to being dissolved as they usually have rather higher molecular weight. 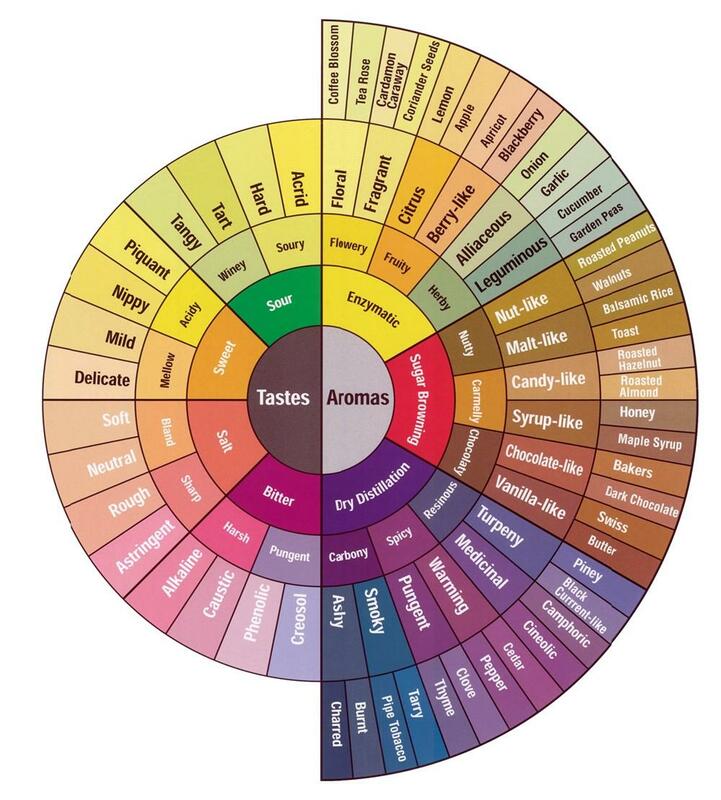 Sugar browning category holds the Nut, Caramel and Chocolate types of characteristic of coffee. Therefore above solvation shells to form right amount of water molecules should be available. When there is hardness of water that acceptable levels formation of solvation shells are being gradually diminished, which leading coffee to be unevenly extracted. Alkalinity is of one of the other major important aspect that we need to talk through.The adaptability that a liquid system has to reorganise itself against the changes in pH, upon addition of small amount of strong acid or strong base or dilution is known as alkalinity or buffer capacity (solution). Most commonly carbonate (CO3−2), bicarbonate (HCO3-), and hydroxide (OH-) compounds are responsible for alkalinity of natural water. Therefore presence of CaCO3 and/ or MgCO3 brings a higher alkalinity to the water. Now when you lower the TDS concentration (soft water) of above compounds can lead the water towards an uncertainty of pH changes. Hence water chemistry has to be used in a much more intelligent way with a better understanding about chemical composition (TDS% as well as Alkalinity) of brewing water as it may play with the brightness of the cup as well as its harmonious balance and flavours. However, profound understanding of the behaviour of water, through its structural sate within the space and chemical composition is rather wonderful than total agreement with everything that we experience. Tags: Alkalinity, barista, Buffer solution, chemical compounds, chemical reaction, chemical reactions, chemistry, coffee, coffee chemistry, coffee cupping, coffee quality, coffee roasting, coffee science, dose, espresso, extraction, flavour, gastronomy, grind, latte art, Maillard reaction, SCAE, sensory triangulation, speciality coffee, taste, TDS, water, water chemistry. Bookmark the permalink. Thanks for the question Chris, Yes indeed steam does have a different chemical behaviour even though it has the same molecular formula and molar mass as liquid water. As they are same chemical compound but has a different physical sate to each other the ability that each has to participate for an chemical reaction is different.